In order to maintain homeostasis (see article Homeostasis: Negative Feedback, Body Temperature, Blood Glucose the human body regulates glucose very carefully. In order to function as effectively as possible, the human body needs an appropriate amount of glucose. Glucose is turned into energy and that energy is used to fuel all the systems of the human body. From the brain to the heart, the human body depends on glucose and energy to continue to function. When we eat, our body works at digesting the food and breaking it down into glucose and then into energy. 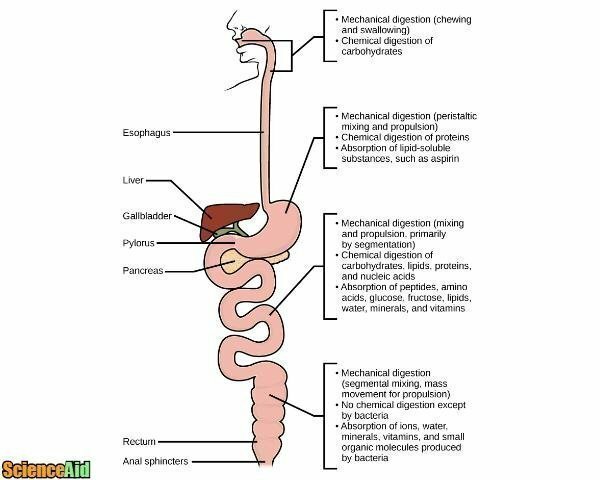 Enzymes and fluids in the stomach break down sugars and starches into a glucose. The glucose is absorbed by the stomach and intestines and circulated through the body via the blood stream. Glucose in the bloodstream can be used immediately as energy or saved in our bodies to be used later. This stored glucose is stored in the liver and in our muscles. Insulin is a pancreatic endocrine hormones or hormones that are secreted from the pancreas. The pancreas produces insulin and glucagon in response to the levels of glucose in the bloodstream. If a patient does not have enough of these hormones then blood sugar regulation is not optimum and too much or too little glucose will be released in the bloodstream. Insulin is produced by the beta cells in the pancreas. The beta cells are key players in maintaining homeostasis. These beta cells constantly survey the amount of glucose and sugar in our bodies and maintain homeostasis by either increasing production of insulin or decreasing the production of insulin. For example, when you eat a plate of spaghetti, the level of sugar in your body increases. Once converted to glucose, these levels in the blood also increase. In order to maintain homeostasis, the beta cells in the pancreas produce high levels of insulin. Glucagon is our body's principal catabolic hormone. Glucagon is a peptide hormone and is produced by the alpha cells in the pancreas. The main function of glucagon is the opposite of insulin. When the level of glucose in the body is too low, the alpha cells in the pancreas create glucagon. Glucagon then distributes the glucose that is stored in the liver and in muscles through the blood stream to maintain homeostasis and increase the level of glucose in the body. People with diabetes have difficulty with the levels of insulin in their bodies. People with diabetes are unable to make the necessary amount of insulin necessary to maintain blood sugar levels and homeostasis. Without medical regulation of insulin levels, these people can become hyperglycemic. 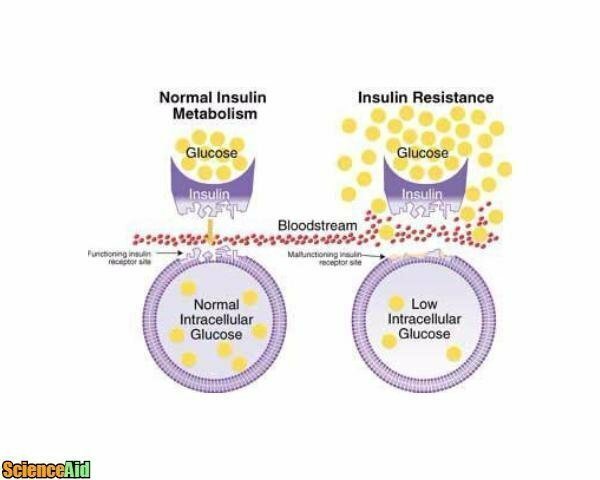 Both insulin and glucagon work together to maintain homeostasis regulating blood sugar and energy levels in the human body. MLA (Modern Language Association) "Glucose Regulation: Insulin and Glucagon." ScienceAid, scienceaid.net/Glucose_Regulation:_Insulin_and_Glucagon Accessed 25 Apr 2019. Chicago / Turabian ScienceAid.net. "Glucose Regulation: Insulin and Glucagon." 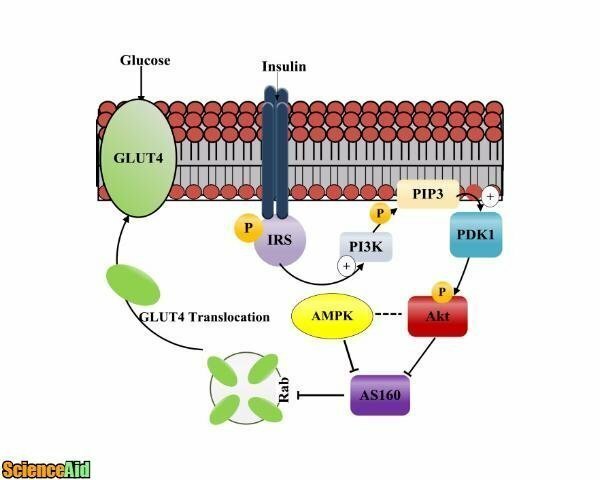 Accessed Apr 25, 2019. https://scienceaid.net/Glucose_Regulation:_Insulin_and_Glucagon. Thanks to all authors for creating a page that has been read 583 times.